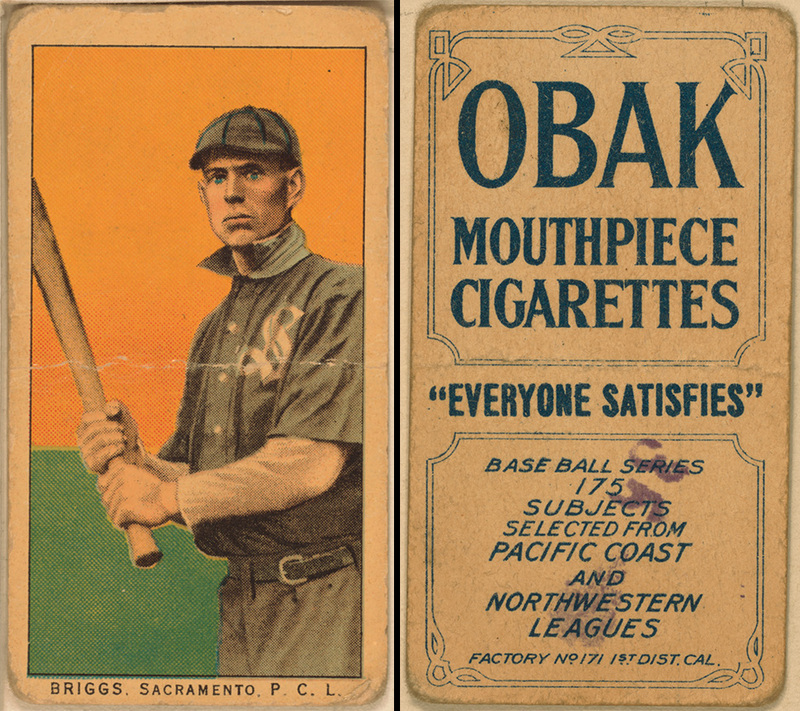 A 1910 baseball card for the Sacramento Sacts' Joseph Briggs. Images from the Library of Congress digital archives. There are no known restrictions on publication.